Before you head out there and start looking for potential divergences, here are nine cool rules for trading divergences. Learn ’em, memorize ’em (or keep coming back here), apply ’em to help you make better trading decisions. Ignore them and go broke. Don’t even bother looking at an indicator unless ONE of these four price scenarios have occurred. If not, you ain’t trading a divergence, buddy. You’re just imagining things. Immediately go see your optometrist and get some new glasses. Okay now that you got some action (recent price action that is), look at it. Remember, you’ll only see one of four things: a higher high, a flat high, a lower low, or a flat low. Now draw a line backward from that high or low to the previous high or low. It HAS to be on successive major tops/bottom. If you see any little bumps or dips between the two major highs/lows, do what you do when your significant other shouts at you – ignore it. Once you see two swing highs are established, you connect the TOPS. If two lows are made, you connect the BOTTOMS. So you’ve connected either two tops or two bottoms with a trend line. 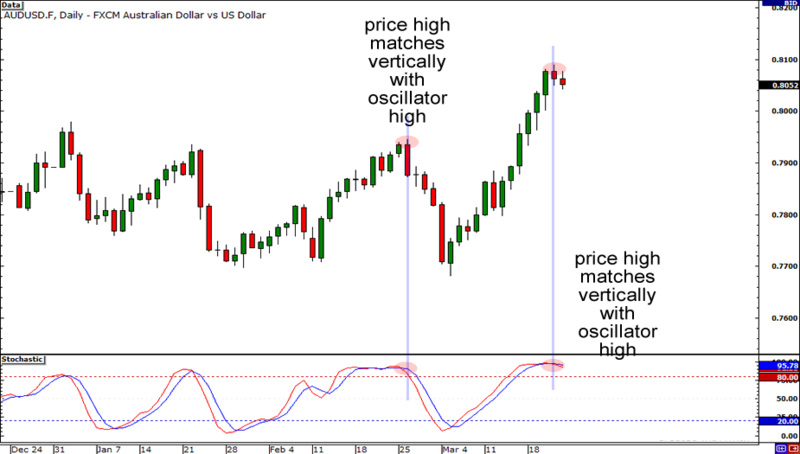 Now look at your preferred indicator and compare it to price action. 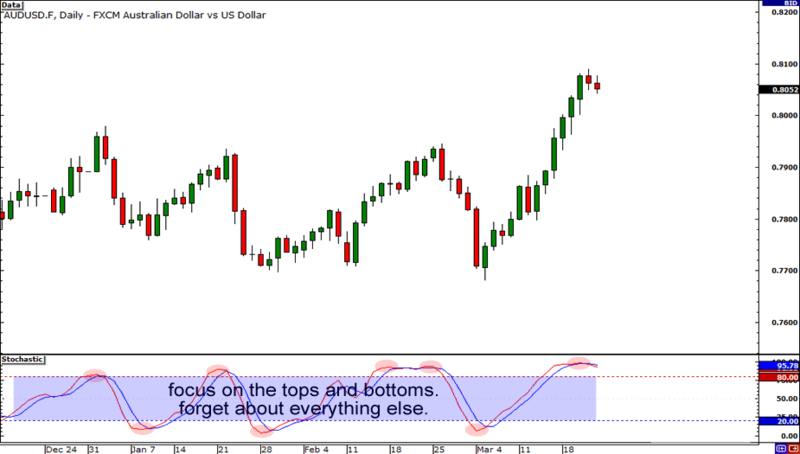 Whichever indicator you use, remember you are comparing its TOPS or BOTTOMS. 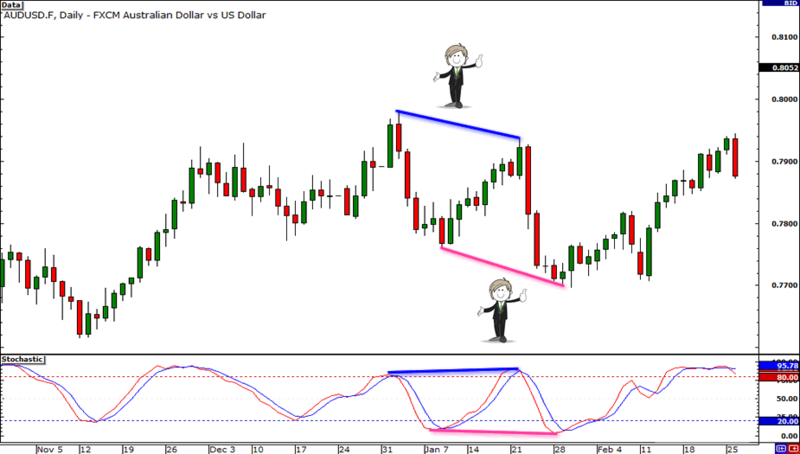 Some indicators such as MACD or Stochastic have multiple lines all up on each other like teenagers with raging hormones. Don’t worry about what these kids are doing. If you draw a line connecting two highs on price, you MUST draw a line connecting the two highs on the indicator as well. Ditto for lows also. If you draw a line connecting two lows on price, you MUST draw a line connecting two lows on the indicator. They have to match! 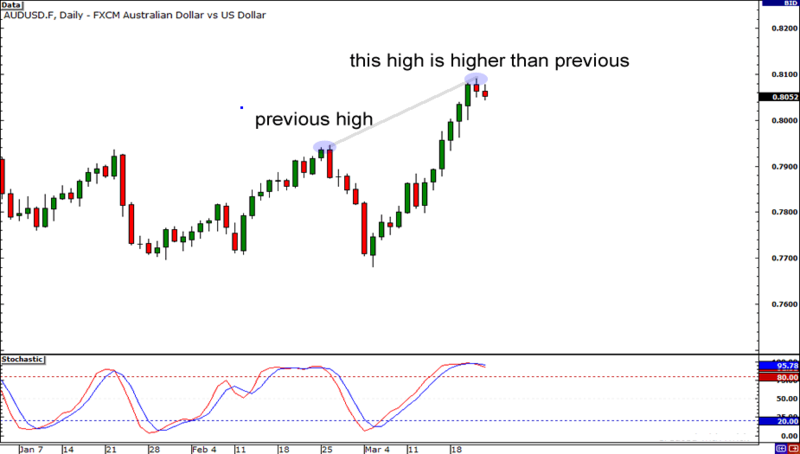 The highs or lows you identify on the indicator MUST be the ones that line up VERTICALLY with the price highs or lows. It’s just like picking out what to wear to the club – you gotta be fly and matchin’ yo! 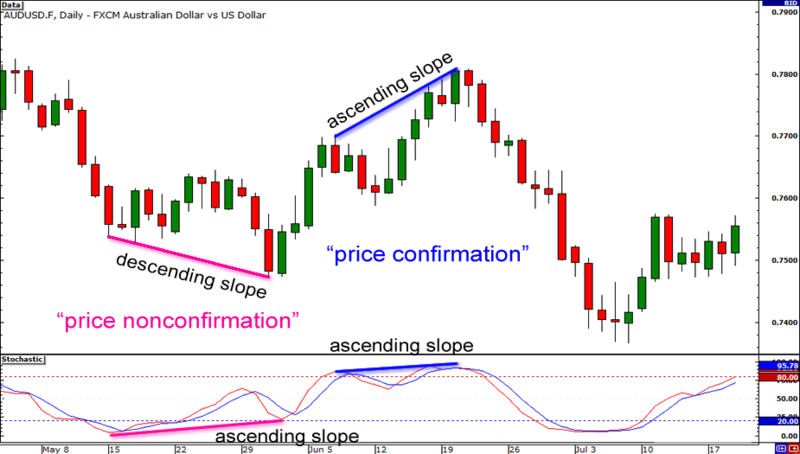 Divergence only exists if the SLOPE of the line connecting the indicator tops/bottoms DIFFERS from the SLOPE of the line connection price tops/bottoms. The slope must either be: Ascending (rising) Descending (falling) Flat (flat). If you spot divergence but the price has already reversed and moved in one direction for some time, the divergence should be considered played out. You missed the boat this time. 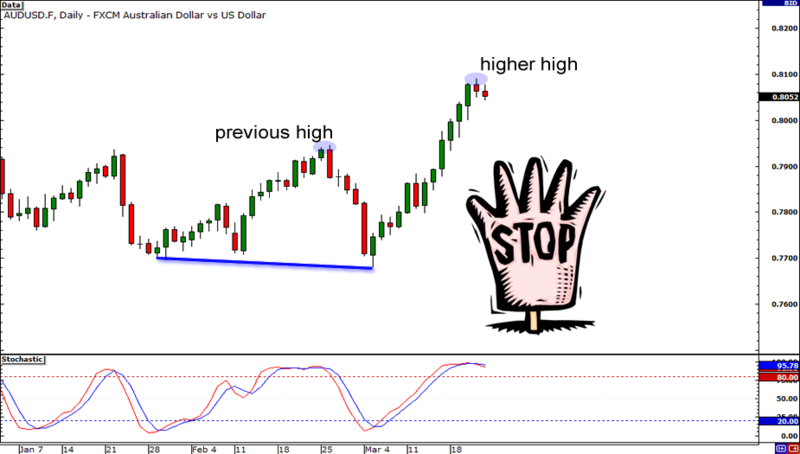 All you can do now is wait for another swing high/low to form and start your divergence search over. 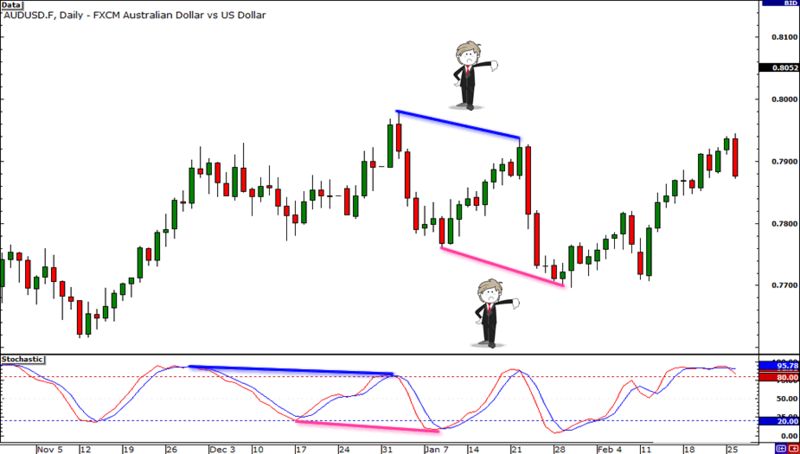 Divergence signals tend to be more accurate on the longer time frames. You get less false signals. This means fewer trades but if you structure your trade well, then your profit potential can be huge. Divergences on shorter time frames will occur more frequently but are less reliable. 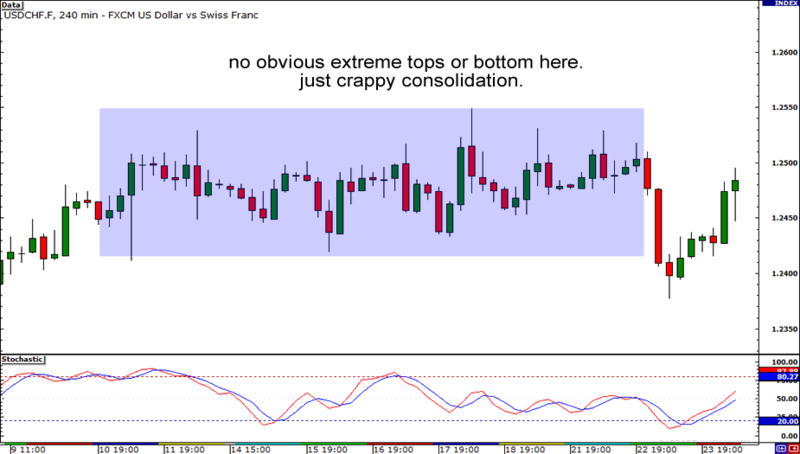 We advise only look for divergences on 1-hour charts or longer. Other traders use 15-minute charts or even faster. On those time frames, there’s just too much noise for our taste so we just stay away. So there you have it kiddos – 9 rules you MUST follow if you want to seriously consider trading using divergences. Trust us, you don’t wanna be ignoring these rules. Your account will take more hits than BabyPips.com’s Facebook page. 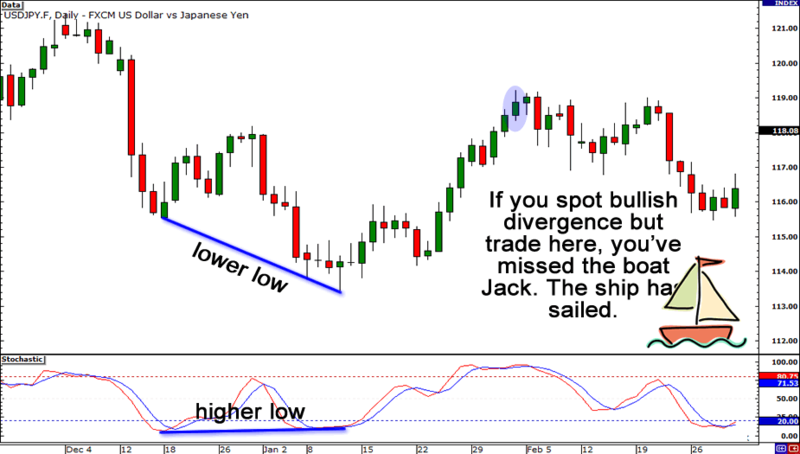 Follow these rules, and you will dramatically increase the chances of a divergence setup leading to a profitable trade. Now go scan the charts and see if you can spot some divergences that happened in the past as a great way to begin getting your divergence skills up to par!